Richmond Football Club meets its date with destiny today, taking on the Adelaide Crows in the 2017 AFL Grand Final. The Crows go into the game as hot favorites, but the Tigers will be the sentimental pick. Either team will break a long premiership drought. And both teams would be worthy premiers. But Kangaeroo is going for the Tiges! 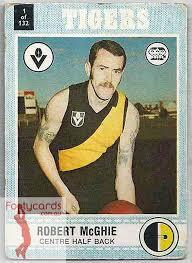 Robert “Bones” McGhie was a dual premiership player (1973-1974) for the Richmond Football Club. 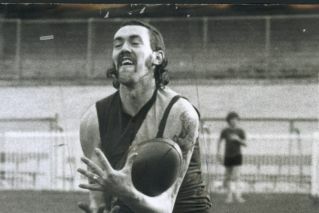 The heavily tattooed McGhie started his career with Footscray, returned there following his time at Richmond and ended his career at South Melbourne, the team that became the Sydney Swans. 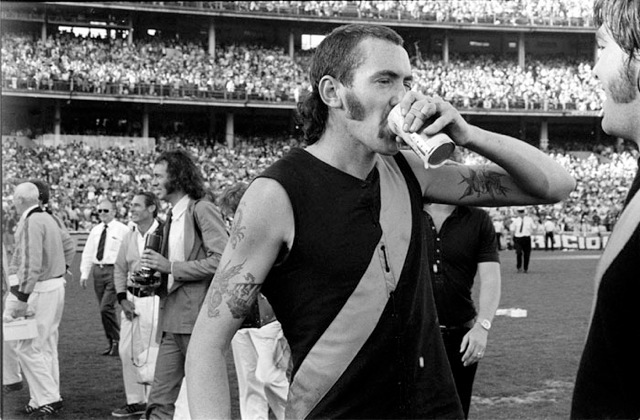 He was a fine defender who perhaps didn’t get the accolades he deserved because of his looks, but he has forever been immortalized for having a smoke and a beer on the football field following the 1973 Grand Final, symbolizing a different age from the current milquetoast world of the AFL and extremely healthy lifestyles. McGhie’s tale of durries and tinnies has been picked up by the Australian Broadcasting Corporation in the lead-up to Saturday’s Grand Final, when the Tigers take on the Adelaide Crows. Should the Tiges win, it’s likely to be slabs all round in Melbourne at least. Richmond Football Club will play in the 2017 Grand Final, tackling the favorite Adelaide Crows, who must be beaten at all cost. It’s the first time in 35 years that the Tigers will play off in Australian Football League’s most important game of the year. Richmond would lose that game after a stripper took off all her gear and streaked across the hallowed turf, her illegal actions much more appealing to the Tigers’ opponent Carlton, traditionally a favorite haunt of Australian organized crime, than a Richmond known for its hearty applications of elbow grease and welcoming acceptance of battlers from all over the world. It has been 37 years since the Tigers won the premiership. 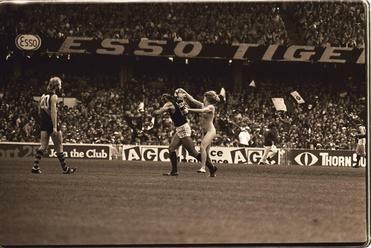 When the Tigers won the 1980 flag, one pundit famously dubbed them the Team of the ’80s. Richmond would not win much in the 1980s. In fact, its star players mostly walked out on the club, it almost went broke, did not play finals after 1982 and twice finished bottom of the league, a dubious honor that bestows a wooden spoon on the team that accomplishes it. 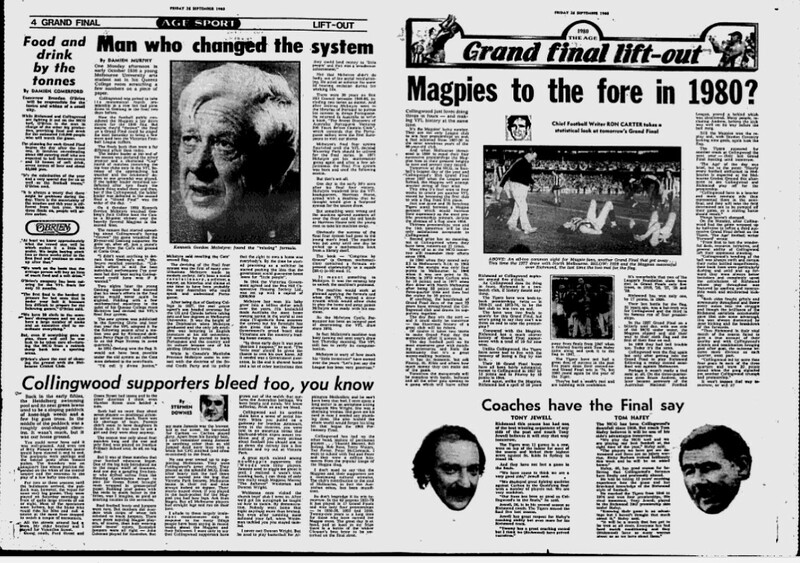 The 1990s were no better, the finals drought finally broken in 1995, but misery ruled the day. The Noughties were even worse. More wooden spoons followed and despite almost twice as many teams being eligible to compete in finals as had traditionally been the case, the Tigers developed the alarming tendency to finish agonizingly short of the Top Eight qualifiers, finding itself labeled with the mocking nickname of Ninthmond. Things changed, slowly as they are wont to do when a winning culture has eroded, upon entering the 2010s. Gradually, the Tigers redeveloped a winning culture. 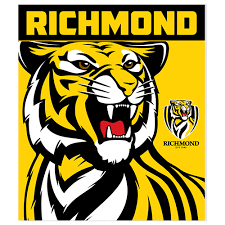 From 2012 to 2015, Richmond was a finalist every year, losing each time it played off, but being an A-list team for three consecutive years for the first time since the club’s mid-1970s heyday. Things seem a hell of a lot different in 2017 Still, there’s lots of similarities at work. 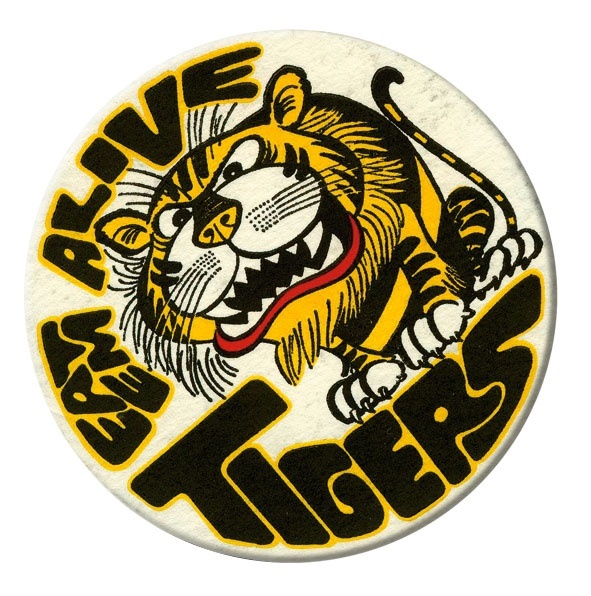 In the Tigers’ last Grand Final, 1982, they were valiantly inspired by the late, great Maurice Rioli, the first even and one of just a few players from a losing to be awarded the Norm Smith Medal for Man of the Match. Maurice’s nephew, Daniel, will be playing for the Tiges on Sept. 30. 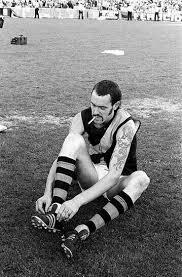 Richmond’s captain 35 years ago was David Cloke, who was suffering a niggling problem that cast his appearance in doubt. This year, Richmond’s captain, Trent Cotchin, may be suspended (for an alleged transgression that would not have even been a blip on the radar of umpire concern in 1982) and his appearance is in doubt. (FWIW, Cloke would play, but walked out on the club after the game to take big bucks from vile Collingwood, one of Richmond’s fiercest rivals. He would be unceremoniously dumped a few years later and return to Tigerland with his tail between his legs). 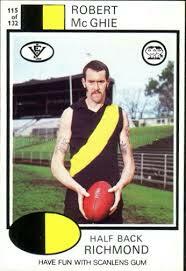 Also of note in the 1982 game was Mick Malthouse, who would famously fail a fitness test. Malthouse would go on to claim the record for coaching the most league games. Cloke had also been an uncertain starter when he was vice-captain in 1980, the Tigers’ last premiership year. He would make it. The Tigers’ captain at that time, however, was Bruce Monteath, who would spend most of the day as a reserve in what was his final game for the club even though he was only 25. There’s also similarities to 1980, the Tigers’ last premiership year. That year, one team was clearly ahead of the pack before an upstart team clawed its way through the finals to lay down a challenge. It’s a similar case in 2017, when the Crows have been at the head of the pack all year and go into the Grand Final as a clear favorite, especially after flogging the Tigers in the teams’ only encounter for the year, if not the sentimental choice, which is clearly behind Richmond. 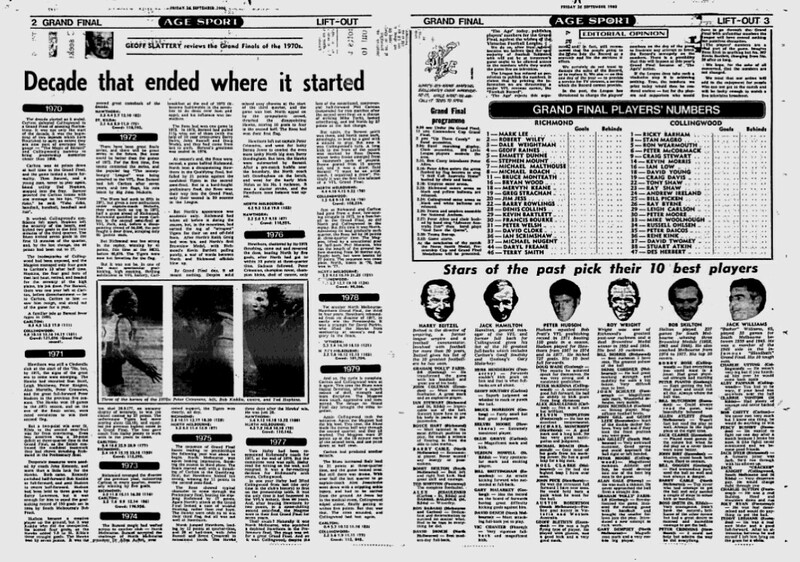 It’s converse to 37 years ago when the Tigers had been the dominators and challenged by Collingwood as the first team to make the Grand Final after finishing in 5th place. The Tigers would go on to win by what was then a record margin (here’s hoping the same doesn’t happen again). Richmond Football Club will contest the 2017 AFL Grand Final! The mighty Tigers triumphed over the Australian Football League’s newest team, the Western Sydney Giants, a talent-packed outfit created to boost revenue from TV broadcasts. Now, Richmond will play the rampaging Adelaide Crows to determine the Aussie Rules champion of the world!